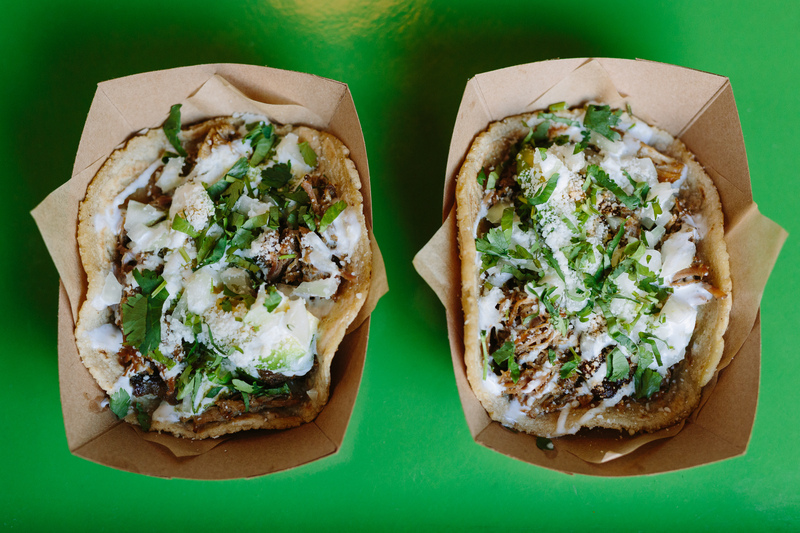 Best Tacos Northeast LA || 7 Taco Spots You Don't Want To Miss. The simple yet deeply complex array of flavors possible makes each taco unique. Although over the past few years, high-end restaurateurs have adapted the street food into something palatable to food-savvy critics, the need for authentic street tacos still exists. 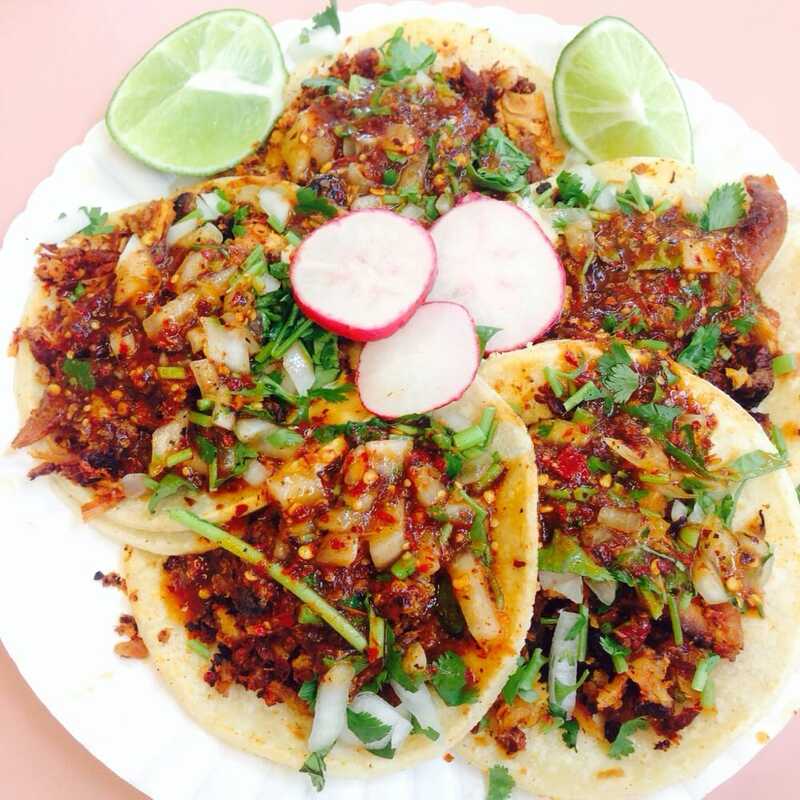 Here is a list of 7 authentic style tacos in Northeast LA that are definitely worth it. Be it from a restaurant, stand or truck. Enjoy! A staple of Eagle Rock, Leo’s Tacos has been serving the community for upwards of 16 years. 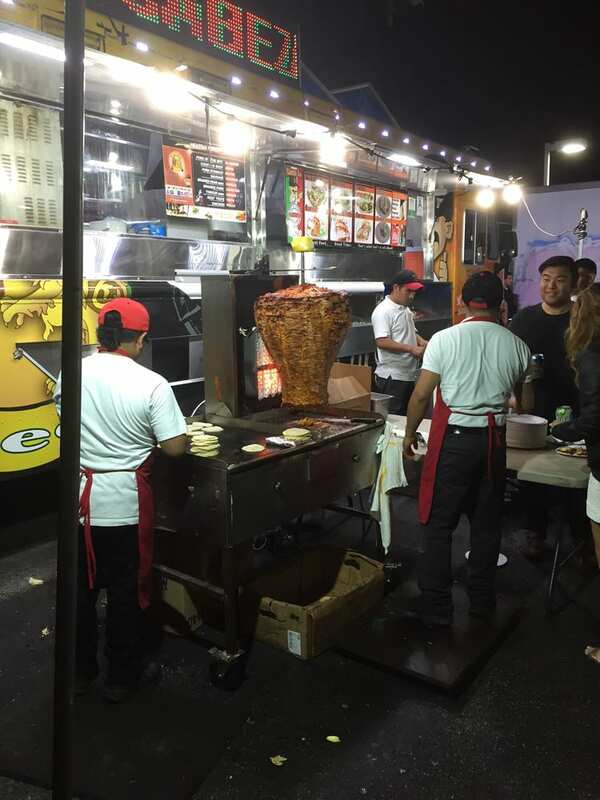 Adored by locals for it’s consistency, the trucks serves up freshly marinated meats for the hungry masses. Don Leo, as he is known, can frequently be seen chatting up customers and always serving with a smile. Do yourself a favor and order the al pastor. For $1.00 a pop, it’s a deal you can’t pass up. If the brightly lit, red and yellow storefront doesn’t grab your attention, the food definitely will. 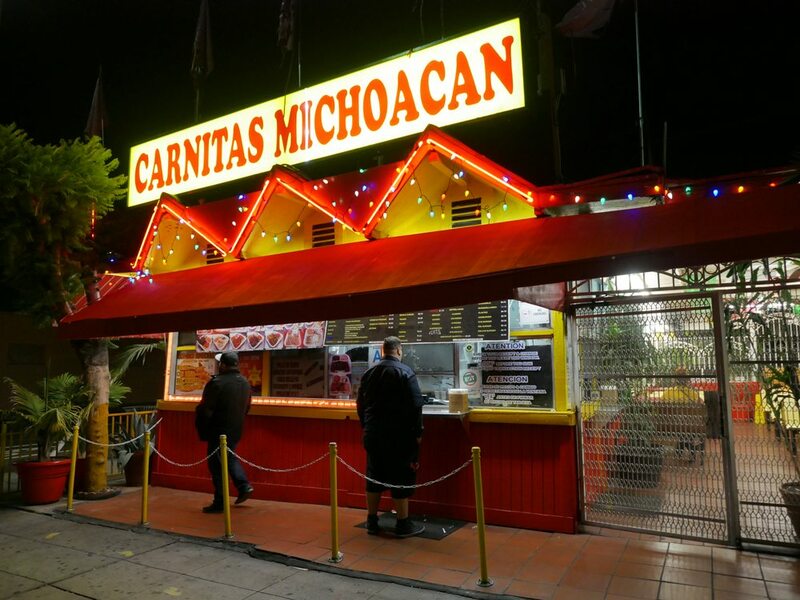 Carnitas Michoacan in Lincoln Heights has been a long serving purveyor of Mexican street-food essentials. As the namesake states, the carnitas are the main attraction here. Immaculately marinated slow-cooked pork is piled onto a double layer of tortillas, allowing the juices to be sucked into the bread, without creating sogginess. Each taco is doused in their famous salsa negra, which is sure to give any spice-a-holic very happy tastebuds. Hours: Everyday 11:00 a.m. – 11:00 p.m.
Another long-serving Eagle Rock staple has made the list. 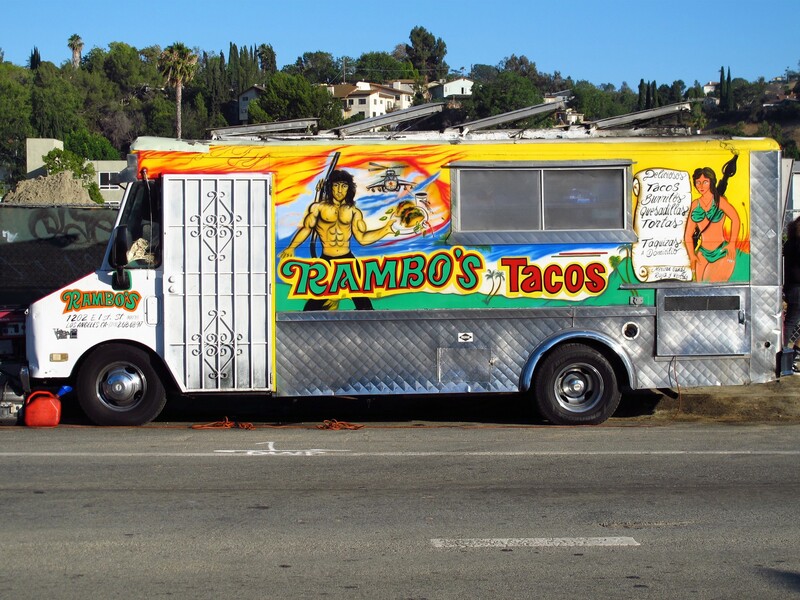 Operating for over 15 years, Rambo’s Tacos is known for their cabeza and tripa tacos. That’s beef head and beef intestine respectively. If you’re feeling adventurous and want to try different taco fillings, then this is a good spot to start. Hours: Everyday 5:30 p.m. – 12:00 a.m. Fridays and Saturdays until 2:00 a.m. Hours: Everyday 8:00 a.m. – 9:00 p.m. Fridays and Saturdays until 10:00 p.m.